Two Columbus jazz legends will take their place on the Lincoln Theatre Walk of Fame in an induction ceremony on Saturday, July 28, sponsored by the State Auto Insurance Companies. The ceremony is free and open to the public. Doors will open at 6:45pm, and the program will begin at 7pm. Jazz organist Hank Marr and saxophonist Gene Walker will be honored during the ceremony, which will include a tribute performance by Columbus jazz artists Tom Carroll, Jim Rupp, Mary McClendon, and Christopher Brown. Other performers include winners of the Hank Marr High School Jazz Award—Micah Thomas, Dan Hitchcock, Chase Potter, and Rob Dove. The Lincoln Theatre Walk of Fame honors Columbus natives who have made outstanding contributions in their respective professional careers. Unable to select just one honoree due to the richness of Columbus’ artistic community, the Lincoln Theatre’s Walk of Fame Committee selected two artists who complimented and supported one another’s genres. Hank Marr was born in 1927 in a section of Columbus then known as “Flytown.” He learned to play on a neighbor’s piano, mimicking the chords he heard on the radio. He later jammed with friend Ronnie Kirk (later known as Rahsaan Roland Kirk) in a nearby garage, then played with “Charlie Brantley and the Honey Dippers” in Tampa, Florida. Marr returned to Columbus for formal training at The Ohio State University and began performing with the Sammy Hopkins Trio and Rusty Bryant’s band, when his keyboard playing expanded to the Hammond organ for which he became famous. He joined King Records then the Double-Time label, recording seven albums as his career expanded throughout the 1960s and 1970s. 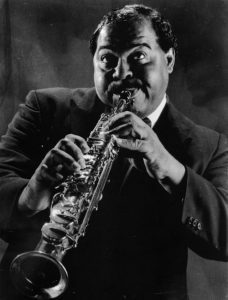 He later taught in the jazz studies program at OSU, and in 1990, was honored with Marvelous Hank Marr Day in the city of Columbus. Marr received numerous awards, including the Continuing Legacy Award at the first Columbus Music Awards ceremony. He died in Columbus on March 16, 2004. Saxophonist Gene Walker, a native and resident of Columbus, has toured since 1958 with some of the world’s greatest entertainers including the Beatles, King Curtis, Jackie Wilson, Sam Cook, Johnny “Hammond” Smith, Jimmy McGriff, the Drifters, Chris Columba, and the Platters. Walker continues to perform with his own bands, Gene Walker’s Generations Band and Gene Walker’s Cotton Club Orchestra. He also enjoys an impressive solo career. In 1989, a year after receiving a bachelor’s degree in music arts from The Ohio State University, he accepted a teaching position at the school instructing jazz saxophone and combo classes. He participates with the OSU Jazz Ensemble camp each summer, teaching jazz history and saxophone. He also works to bring the jazz tradition into schools through the American Jazz Experience with Jim Masters and the Jazz Professors Performing Septet. He has served in artist residencies with the Ohio Arts Council and the Greater Columbus Arts Council, and continues to instruct jazz saxophone and combo during the summer at the prestigious Jamey Aebersold jazz camps.